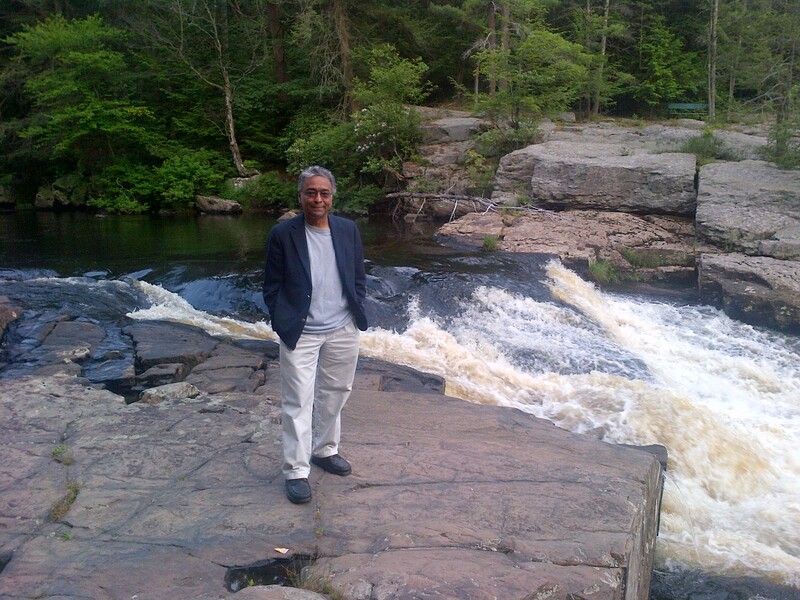 Abhay Ashtekar holds the Eberly Chair in Physics and the Director of the Institute for Gravitation and the Cosmos at the Pennsylvania State University. Currently, he is a Visiting Professor at the CNRS Centre de Physique Théorique at Aix-Marseille Université. Although our universe has an interesting and intricate large-scale structure now, observations show that it was extraordinarily simple at the surface of last scattering. From a theoretical perspective, this simplicity is surprising. Is there a principle to weed out the plethora of initial conditions which would have led to a much more complicated behavior also at early times? In the late 1970s Penrose proposed such a principle through his Weyl curvature hypothesis (WCH) [1,2]: in spite of the strong curvature singularity, Big Bang is very special in that the Weyl curvature vanishes there. This hypothesis is attractive especially because it is purely geometric and completely general; it is not tied to a specific early universe scenario such as inflation. However, the WCH is tied to general relativity and its Big Bang where classical physics comes to an abrupt halt. It is generally believed that quantum gravity effects would intervene and resolve the big bang singularity. The question then is whether one can find an analogous restriction on initial conditions that is adapted to quantum gravity, by replacing the Big Bang with a regular Planck regime. Our CQG paper proposes such a generalization. 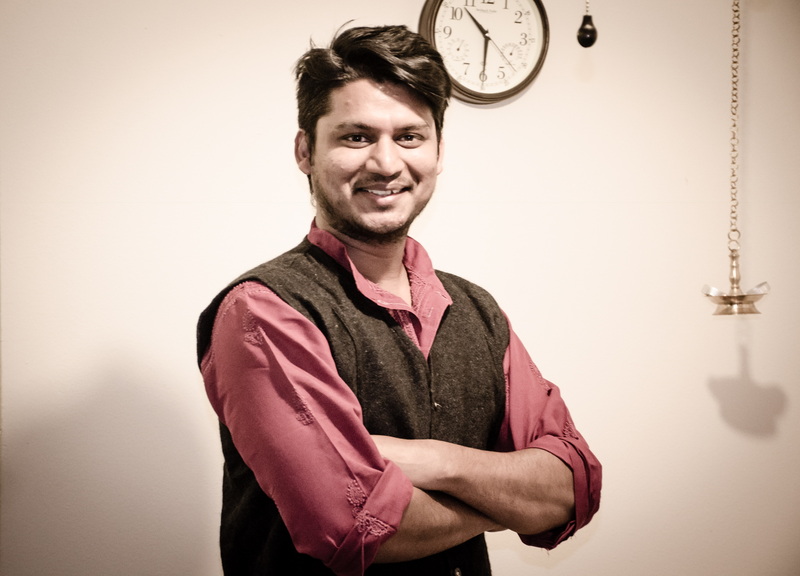 Brajesh Gupt is the Post-doctoral Scholar of the Center for Fundamental Theory of the Institute for Gravitation and the Cosmos at the Pennsylvania State University. The task is non-trivial because of conceptual as well as technical issues. First, in the current paradigms of the early universe, one works with a Friedmann, Lemaitre, Robertson, Walker (FLRW) background, together with cosmological perturbations, represented by quantum fields. The obvious generalization of the WCH would be to restrict oneself to quantum states of perturbations that are annihilated by the Weyl tensor operator. However, since this operator satisfies non-trivial commutation relations, Heisenberg uncertainties imply that there is no quantum state on which it can vanish identically. Second, while Weyl tensor considerations are well adapted to tensor modes, this is not the case for scalar modes and these are, in fact, the ones that have been observed so far. Finally, one now needs to formulate the new principle in the Planck regime that replaces the big bang. Hence, we have to evolve cosmological perturbations on a quantum FLRW space-time, represented by a wave function. Loop Quantum Cosmology (LQC) provides a concrete example of a framework that can handle all three issues. Our CQG paper is motivated by LQC, but the discussion and results hold in any theory in which space-time admits a Planck regime and the big bang singularity is resolved near the Planck scale. Let us begin by considering only the tensor modes. In the quantum theory, one can construct the algebra of canonically conjugate, gauge invariant (curvature) observables. In the classical theory, the vanishing of their counterparts is a necessary and sufficient condition for the linearized Weyl tensor to vanish as in the WCH, and for space-time to continue to be homogeneous and isotropic to first order. Unfortunately, as noted above, Heisenberg uncertainties forbid the existence of a quantum state that is annihilated by these operators. However, we show that there is a small ball of states which the desired homogeneity and isotropy is achieved to the maximum extent allowed by the uncertainty principle and the Planck scale dynamics. In these states the expectation values of all our curvature observables vanish, the uncertainties in canonically conjugate observables are equally shared, and are as small as they can be in the full Planck regime. In this sense they satisfy the quantum generalization of the WCH. Mathematical equations governing uncertainties in tensor modes can be recast in terms of gauge invariant metric perturbations. This translation can be directly taken over to select a ball of preferred states also for scalar modes. If the quantum universe is in any of these states for both tensor and scalar modes, it is maximally isotropic and homogeneous to zeroth and first order throughout the Planck regime. Our generalization of the WCH requires the initial state of all cosmological perturbations to belong to this small ball. This is our past hypothesis: the WCH is replaced by the quantum homogeneity and isotropy hypothesis (QHIH). As our companion paper illustrates, in LQC one can add further conditions to select an essentially unique state in this ball. R. Penrose, in General Relativity: An Einstein Centenary Survey, edited by S. W. Hawking and W. Israel (Cambridge University Press, Cambridge, 1979). R. Penrose, Road to Reality, sections 28.5 and 28.8 (Alfred A. Knopf, NY 2004). This entry was posted in Author Insights, IOPselect and tagged cosmology, quantum gravity, spacetime by David Jones. Bookmark the permalink.